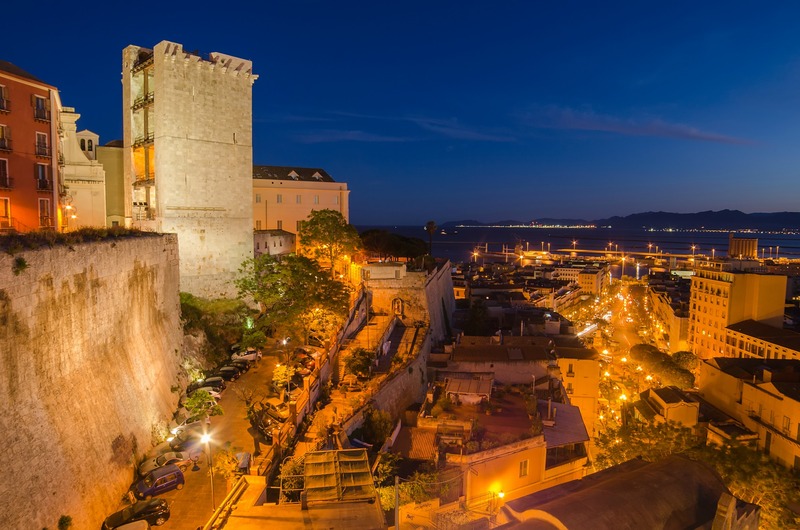 Cagliari's walls run all around the perimeter of the ancient Castello district and include the tower of the Elephant and that of San Pancrazio. Large parts of the old system of towers and bastions, built to protect the town, are still remaining and today, thanks to the panoramic views of the town they offer, you can spend pleasant, relaxing moments. 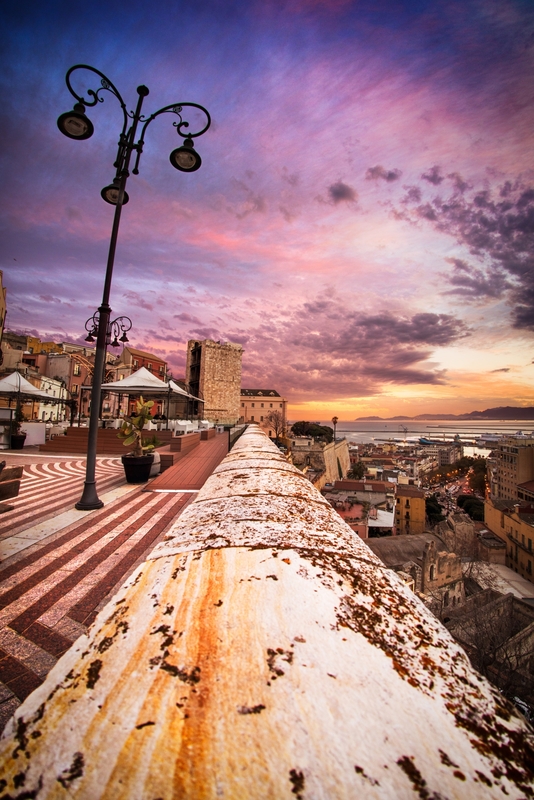 From elegant terraces, in one of Cagliari’s highest areas, you can sip an aperitif while enjoying the breathtaking views. Not far from the fortifications, you will find the main shopping streets. 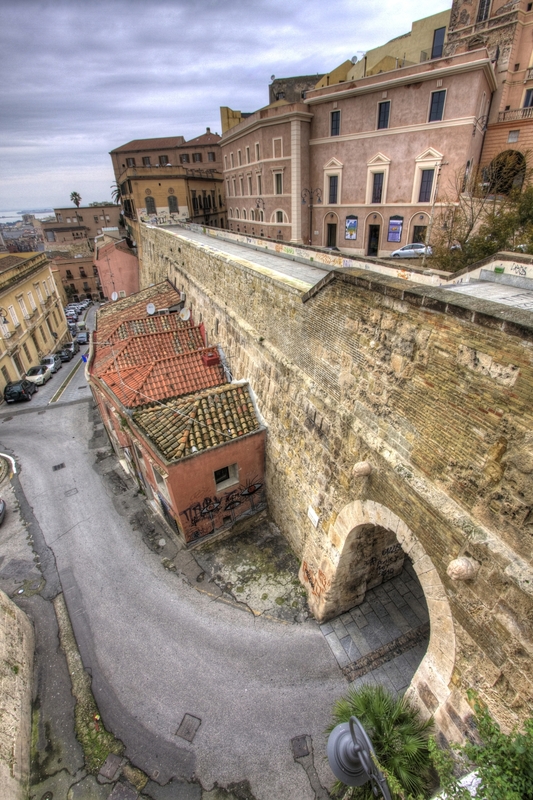 Between 1491 and 1508, a bastion was built on the hill of the Castello district and was the seat of the town's civil and religious authorities for centuries. 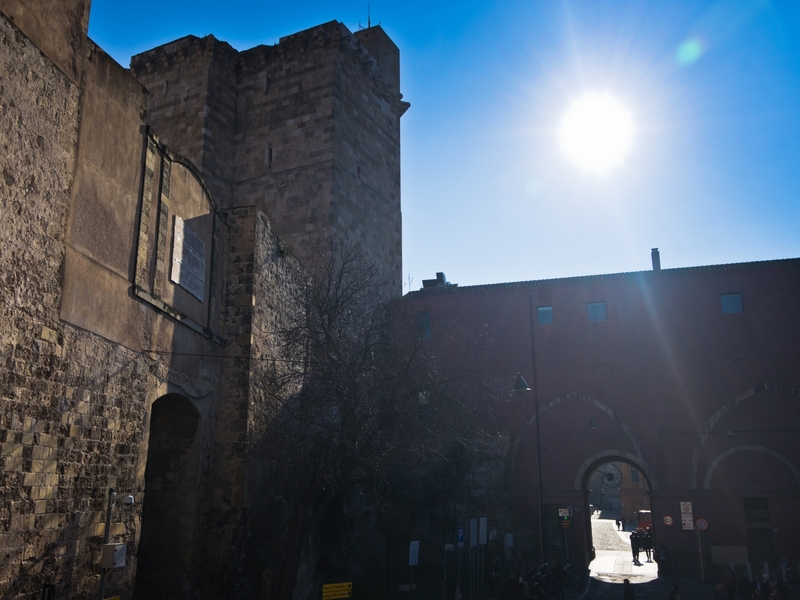 In 1534, a boundary wall was built between the Tower of the Elephant and the Church of Santa Croce, a former synagogue converted into a Catholic place of worship in 1492. The Bastion of Santa Croce is now an elegant terrace, an elegant terrace and centre of nightlife, overlooking the Stampace district and facing the deep blue sea of the port. The Tower of San Pancrazio, built in 1305 by architect Giovanni Capula, was constructed in sandstone, white limestone extracted from the Bonaria hill, where the splendid basilica of the same name stands. 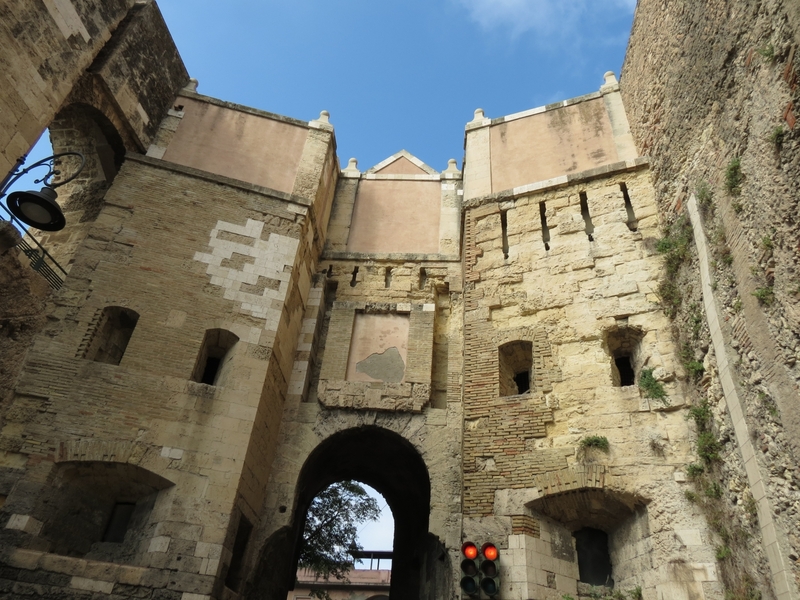 At the base of the tower, the gate of San Pancrazio opens up, allowing you to enter the Castello district. The Tower of the Elephant was built two years later. Its name comes from the statue of the pachyderm, symbol of the city, positioned on a corbel on the external part, facing towards the port. Divided into four levels, you will be struck by the majesty of the great portcullis which is raised, but ready to close the entrance door to the old district. Don't be afraid to cross it, though, because it is now one of the access routesalways open (and highly-frequented) to the beautiful sights of Cagliari.